Electricity price hiccups over the last two months seemed timely to attest the required price assumptions for the financial model of the Belene NPP. These days, prices have returned to normal levels, but the idea of higher electricity prices, at par with revenue projections, gained some ground – ostensibly the free market at work. There is a lot in common between the procedural patterns behind the Belene NPP and the Balkan Gas Hub. Most of the activities only nominally happen in the open – formal tender procedure, the rite observed, the end – terms agreed in advance. There is no true competition, no market interplay, no real public scrutiny, just political expediency. Summarizing the main features of the applied policy line in pursuit of a lighter version of South Stream through Bulgaria, it is clear that the government of Bulgaria has gone to extremes. The CEOs of state-owned energy companies, the main executive force in the behind-the-scenes process, engage in real-time talks, project engineering work, trial and error fine-tuning and, above all, maintaining the appearance of compliance with the letter of EU regulations. Energy Minister Petkova, assigned with the mission of chief spox and public marketeer, has agreed to act as a lighting rod, absorbing the negatives of half-baked project post-truth, often bordering on outright incompetence, departing from basic economic, financial and logical sense. PM Borissov, who oversees the whole grand slam design, has deliberately kept a low profile, confining himself to rare public interventions, usually part of a crisis response and geopolitical challenges. 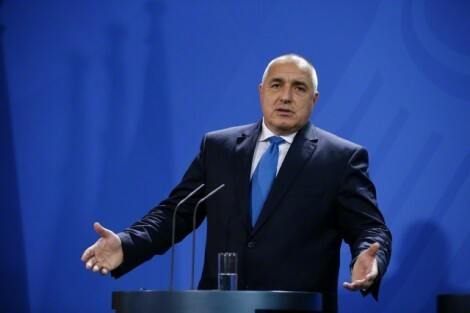 Prime Minister Borissov and Energy Minister Petkova have refused to admit in public that the design of the Balkan Gas Hub, judged by the share of dedicated resources, efforts and engagements, is nothing else but a smaller version of South Stream. The key sales pitch has always been that the project is primarily about increasing the capacity of the country’s transit system to trade gas, offering sufficient gas liquidity and a virtual trading platform – the Balkan hub. The Eurojargon is omnipresent, overfluent with reassurance that the project is an EU priority. The key line of Bulgaria’s energy minister all along has been that the new transit project will not happen “at any cost,” rather only when the government is confident of its economic feasibility – guaranteed high revenues and booked capacities. The top guns in Bulgarian politics insisted they are immune to geopolitics, denying accusations of captured will in servicing Gazprom alone. In the course of the final binding leg of the Balkan Gas Hub market test, Bulgartransgaz twice faced humiliation and was forced to succumb to Gazprom’s terms for tariffs and capacity take-up. The Russian gas monopoly made it crystal clear who is in charge. Bulgartransgaz concurrently had to compromise on rates of return and agree to lower revenues, as well as agree to bear the total project and investment risk, while footing the bill – a Euro 1.4 billion credit line. In a new political dementia-induced seizure, the Balkan Gas Hub proponents tried to dump promises of Euro 2.170 billion in revenues. In order to justify the FID on the Bulgarian extension of Turkish Stream and show a larger revenue base, the project engineers stretched the assumption period from 15 to 20 years, regardless of the fact that no bank or banks will extend a 20-year loan. The mere fact that future promises of a financial cornucopia stopped at 20 years, instead of 50 or 100 years, tells a story of growing and desperate expediency. PM Borissov is moving with utmost care as the tacit support from Chancellor Merkel and German reps in the European Commission is neither certain nor unconditional – he is testing thin ice. The support could vanish at the first reality check. The Bulgarian PM relies on the screen of the Nord Stream-2 to act on the hub-formatted extension of Turkish Stream. Commissioner Sefcovic, however, denied any pretense of EU compliance and support, stating that in its current form the Turk Stream extension is neither an EC priorirty, nor does it have any hope to receive a derogation or EU funding. In short, the message is simple – whatever Bulgaria has conceived is at its own risk. Which part of the EU Commissioner’s statement is not clear to the Bulgarian government? Apparently, the funding sources do not bother the Bulgarian prime minister and the managers of the state-owned energy companies, as in one form or another, Gazprom, its affiliates or partners could facilitate a resolution and provide the necessary capital support. One of the most likely funding options is a purposeful bond issue by BEH, with most of the capital provided by Gazprom-controlled or connected financial institutions. The main marketing pitch is that the South Stream Lite project has been attested by the market and will be funded by a market player. Few will be surprised if the market denominator applies to undistributed funds left over from the South Stream Bulgaria JSC. The real story behind such a desperate move by the Bulgarian prime minister to secure Gazprom’s gas for his pet ‘hub’ project is shared with his erstwhile South Stream partner Delyan Peevski. Following the destruction of Corporate Commercial Bank, all attempts to resurrect South Stream in any form are doomed. The Kremlin is adamant about not giving up its own money and foregoing unmet promises. President Putin is unlikely to easily accept a blend of geopolitical loss (happening more often as of late) with lost funds. The reference is to the Euro 675 million, or nearly 1.35 billion leva, in transfers as equity, loans and operational cash at the start of the South Stream project. With the funds difficult to recover in their entirety, it is now the turn of the state gas grid operator, Bulgartransgaz, to dig deep into its pocket and meet the promise made to Putin at the time by Parvanov and Borissov, financing and building this 440 km stretch of the gas transit pipeline between CS Kirevo and CS Zajecar. At the end of the day, the Kremlin should feel satisfied, as instead of funding the capex of the whole project, Gazprom would spend only half of the originally designated cash pool, while retaining full control and cheaper access to the transit capacity, sustaining its competitive edge over other traders in the Bulgarian, Serbian, Hungarian and Austrian gas markets. Thus, Borissov hopes to come clean on past dues to the Kremlin. The profiteers creatively diverting funds from the South Stream project could maintain what is already in their coffers, while consumers and taxpayers cover the bill. It might seem like gross speculation to link the outcome of the third binding phase of the market test of the Balkan Gas Hub to the visit of Prosecutor General Tsatsarov and Interior Minister Marinov to the UAE’s capital, Abu Dhabi. However, it is not entirely groundless, as corruption-associated cashflows from previous grand slam projects tend to seek a home base in the Gulf states. A key questions is how Bulgartransgaz will secure the bond issue. The options are limited. The current annual income levels of Bulgartransgaz are inadequate to provide security, being 6-7 times lower than the capex levels. Future transit revenues, spread over 15 years could potentially make up for that in a typical project financing case, but the project risk remains well above BTG’s grade and banks/bondholders will demand additional asset back-up. The only possible asset base recourse in the case will be BEH or BTG’s assets – the primary being the gas transmission and transit networks. This is reminiscent of the same old paradigm of 1996, when Gazprom tried to secure control over the transit network. Same school of thought, same people or their successors. Just an updated version. The likes of the Russian VTB or other Gazprom-partner banks might retain the bulk of the bonds, secured with transit network or other energy assets – which has been the Kremlin’s dream all along. The Russian state company could thus hold its grip on both the security and the revenue stream, key to servicing the debt. This will determine the future of Bulgaria’s transit system operator and block competition to Russian gas via Bulgaria. Government guarantees are likely to invite state aid clearance through the EC, which is a dead-end. A similar design pattern is currently being pursued in the Belene NPP project. Strongly worded project packaging with government red lines was used before the tender kicked off. A much more lenient story emerged as the final product. Worth noting is that the new nuclear power plant is the first test of the new Sino-Russian geopolitical JV in the EU in the nuclear field. It is just worth recalling the original point of departure on the project by the government – Bulgaria will not invest a cent more than what it has already spent – no additional guarantees, no contracts for differences, no off-take agreements, no indirect investments in equity or debt. The more one thinks about the grand picture of what is happening, the more one gets the impression of there being a game plan that uses as a pretext the “virtual” purchase of the F-16s – an uncertain deal with uncertain future. Meanwhile, the real deals and the real money end up in corruption-marred deals with Russia. Once the lucrative deals are done and the payments reach their final destinations and the right people, then the government can resign, offering a still valid excuse for not meeting prior promises related to the American aircraft purchase. The problem with such a calculus, which mirrors the mindset of Bulgarian PM Borissov, is that he grossly overestimates the likelihood of the US sacrificing long-term vital interests within the global conflict on the energy front to preserve the sale of 8 F-16s to the Bulgarian government. The question is whether Borissov could hold his breath and keep his nerve while watching a potential spillover of US sanctions on Nord Stream to its kin, Turk Stream, and henceforth to Bulgarian state-owned energy companies, politicians and businessmen involved in the pipeline extension through Bulgaria.